What if you find your business coming to a standstill—or worse, if you start to see signs that your business might be failing? It's a scary moment for entrepreneurs, but regularly updating your business plan can help prompt growth and prevent business slowdown. Here's how to do it. I started an insurance agency two years ago. I had some friends who were all very successful in the industry, which led me to think that I would be blessed with the same fortune. My business was in a highly competitive industry, rated as one of the best industries to start a new business in. Around 58 percent of businesses in the insurance sector survive longer than four years. Things went well in the beginning, but just as I approached my first year, business started to slow down dramatically. It was like my business came to a halt. My business came to a standstill. It was obvious that the market was saturated, but the insurance industry is evergreen and wasn’t going anywhere—I knew a significant number of people who were very successful with their own insurance firms. I started to take a close look at my business. After getting out an old document that was my business plan, I realized that I had reached the full potential of the plan I drafted when I first started the business. I also noted that I didn’t really leave room for further expansion, which explained a lot. This was when I realized that I had to continuously plan for the future if I wanted my business to continue growing. Even though life is unpredictable, many business-related aspects can be forecasted—often successfully. Because as my business became more established I basically ignored the business plan that I relied on when I started my business, I felt lost when everything started to slow down. I was confused about what I could do to gain new customers. Thankfully, I wasn’t losing customers. After a lot of research and dusting off my business plan, I was able to reverse the downtrend. Below, I’ll share a couple of the lessons I have learned along the way. Your business plan is not something that should be written once and then buried away. Instead, it is a document that you should refer to frequently. Something that should be updated regularly and then compared to the actual results you’re achieving. Keep your business in line with what is currently going on, as well as what you plan to come. When you reach a goal, then mark it on your business plan and set out to reach the next goal. Sometimes these goals are called milestones and they can help you keep your business on track. At least twice a year, schedule a day or two to plan ahead of time. What goals would you like your business to reach in the next six months? Focus on the short-term goals, but also plan for the long game. 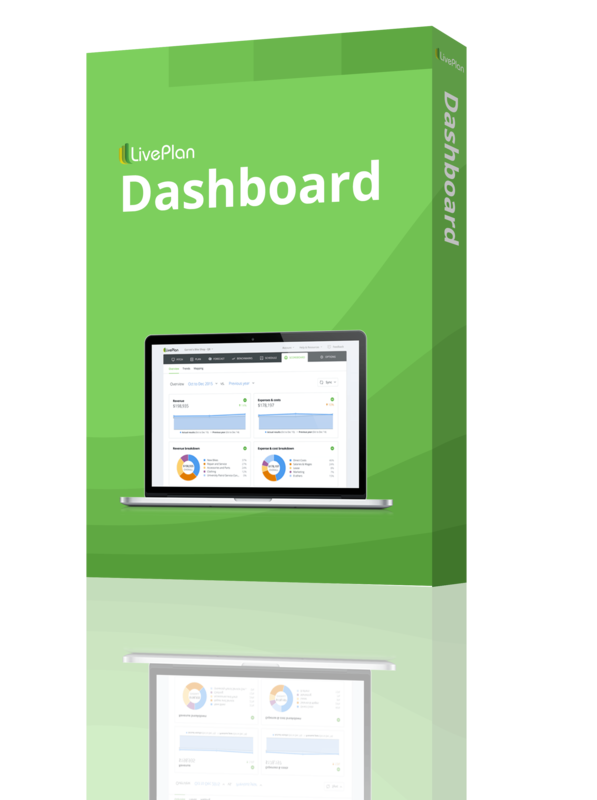 If you’re using a business dashboard, that can make it easier to see how your actual performance compared to your projections, and to model possible future scenarios. As business owners, we are sometimes faced with an endless road of darkness. I remember how much more effort it took to stay motivated and keep hustling. At times, it felt like things were over—there was little I could do. When times are tough, you can quickly lose your motivation to rise to the top – or even to get back up and fight to keep your business alive. Some businesses choose to give up at these times and I wouldn’t blame them. In these dreadful times, your business plan should be the light at the end of that dark tunnel. When you look at your business plan, there is a good chance that you will find some useful information that could reveal to you why you are going through your current situation. At the same time, you might just discover solutions you have been looking for by analyzing the data in your business plan. A study that was published in the Personality and Social Psychology Bulletin explained how a clinical trial found being organized leads to improvements in cortisol levels, stress, anxiety, and even depression. Especially in the business world, being organized will make a huge difference in your effectiveness. When things are organized, it is easier to spot problems, as well as to make more accurate forecasts based on your company’s current situation. How would you know how well your business is doing (or how poorly) if you don’t track your results and progress? I was also a victim to this problem: When things were going great, I didn’t make time to look back and track how well I was heading toward my short or long-term goals. Write S.M.A.R.T. (specific, measurable. action-oriented, relevant, and timely) goals in your business plan—dedicate an entire section to short-term goals and a separate section to long-term goals. Add documents, scribbles, and anything else that has to do with your progress with your business plan. Make some time every quarter to sit down and see how well you are really tracking so you can plan your next moves accordingly. A lot of people tend to overcomplicate a business plan. While the document is important and will be extremely valuable for the future of your business, there is no need to compile an entire book. Many businesses are turning toward a one-page business plan or Lean Plan to simplify things. The single-page document would contain all of the most important elements of your business—a summary. I personally like to keep a one-page summary pinned at my desk, and keep the detailed information in the main document on my laptop. As your business grows, so will your business plan and all the documents that go with the plan. Here’s a link to a downloadable template you can use to get started. An often overlooked element of a good business plan is a thorough analysis of competitors. You can learn a lot from watching your competitors. Competitor data allows you to see what they are doing, so you can decide if you should do the same or take a different approach. If your competitors are doing something that works, consider copying them. I used a variety of tools to help me gain valuable insight into how my competitors are marketing their products, who their target audience is, and what makes them unique. Google is always a good starting point. Getting ahold of your competitor’s marketing material is another. If you come across a competitor’s customers, take a moment to ask them why they chose to do business with your competition. By studying your competition, you may be able to pick up a few ideas to help grow your business. Even though my business came to a standstill at one point and even caused me to lose some money, I did not regret starting my own company. What I do regret, however, is that for a long time I didn’t pay enough attention to my business plan. Only when my business seemed to be standing still did I revert back to my business plan, only to discover that the plan I had for my business mapped out all the success I had been riding all along. Never underestimate the power of a business plan. Frequently updating your business plan and comparing your real results to your forecasts will give you valuable insight to help your business grow into the future! If you’re looking for sample business plans to give you a better sense of what you should include, check out Bplans’ examples specifically for insurance companies. You can also download a free business plan template or even a Lean Plan template (it’s an alternative to a business model canvas) if you’re looking for a shorter version of a plan that can be updated quickly and easily on a regular basis. John Catibog is a business insurance broker and founder of Indagard Insurance Services. Based in Melbourne, Australia, John has an education in computer science, business and marketing and logistics. Combined with his insurance broking experience, he works closely with local business owners to cover the many risks they face in business today. John’s is a regular presenter on cyber insurance to protect against cyber risks. Over the years, John has worked in the healthcare, retail, and transport industries.